In recent weeks the shelves at Canyon Cinema have become host to an influx of new film prints. 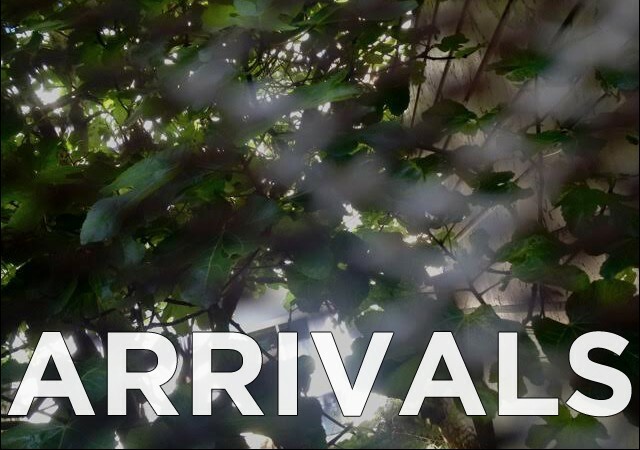 Among the slew of newly available works on 16mm are Prelude and Intimations, two new films by Nathaniel Dorsky, Pat O’Neill’s Sleeping Dogs (Never Lie) and Kate McCabe’s You and I Remain. Available on blu-ray Janie Geiser’s The Hummingbird Wars. In our last issue we spotlighted the work of filmmaker Rose Lowder; she has since updated her Canyon filmography with new 16mm prints of eight films including – Jardins du Marais, Jardin du soleil, Beijing 1988, Bouquets 11-20, Foryannfromrose, Rien d’extraordinaire, Côté Jardin and Retour d’un repère. 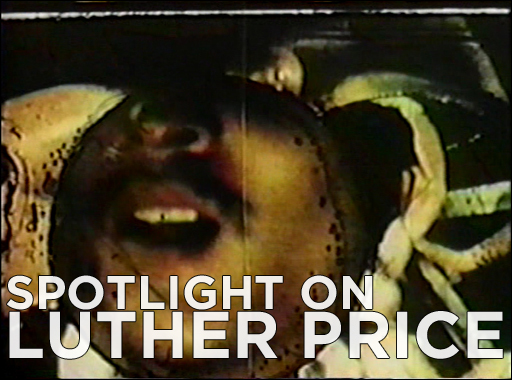 We are pleased to spotlight the work of artist and filmmaker Luther Price. Refreshing in its elusion of classification, his work contains a prophetic madness which requires – like any truly radical work – a restructuring of the critical palate. Luther currently has a selection of work on display at Callicoon Fine Arts gallery in New York. The exhibition, entitled The Dry Remains, includes work on film, sculpture, and canvas. 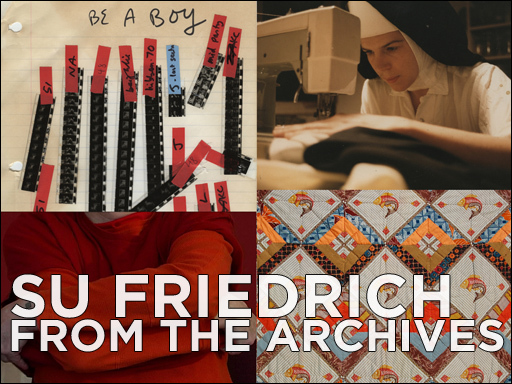 Through recent correspondence with Luther and Callicoon, we’ve acquired a bulk of film stills and photos of various ephemera, which we have included on our blog. 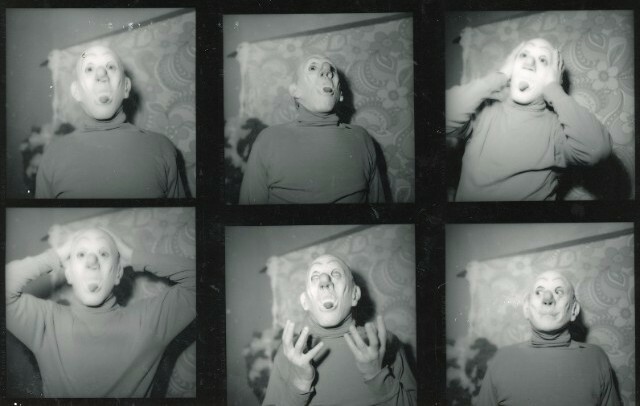 Thanks to the efforts of Anthology Film Archives and Bard College, a selection of his films will be available as new 16mm prints and digitally – check back soon for details. Earlier this month we had the privilege of hosting filmmaker Amy Halpern for the most recent installment in our fall Salon Series. In her program For the Eyes, Amy presented 16mm selections from her Assorted Morsels series, along with films by other veteran filmmakers Bruce Baillie, Chick Strand, and Larry Gottheim; here are a few pics from that special evening and visit our website for full program notes. 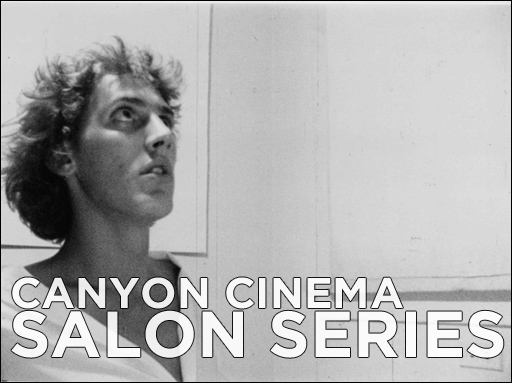 Join us on Monday November 9th as we welcome filmmaker Paul Clipson to New Nothing Cinema for our next Salon program, where Paul will present and discuss various works on 16mm. This is a free event! Come support the culture of avant-garde film! 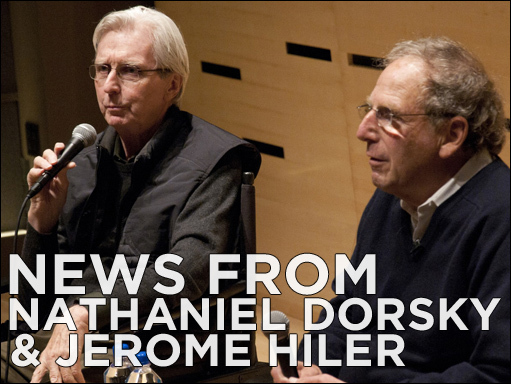 This year the New York Film Festival took the opportunity to honor the films of Jerome Hiler and Nathaniel Dorsky. Featuring the works of the two filmmakers, NYFF put together a complete retrospective entitled Luminous Intimacy: The Cinema of Nathaniel Dorsky and Jerome Hiler – here are some images and a review of the events. The retrospective included the premiere of Dorsky’s films Prelude and Intimations, which will enjoy their west-coast debut at YBCA in San Francisco this November 12-15 – tickets are still available. Also in November, back in NYC, the Peter Blum Gallery will host an exhibition of Dorsky’s film stills (Nov 19-Jan 6), and his new film works will screen at Anthology Film Archive on November 23rd. Su Friedrich‘s filmmaking career is extensive. After four decades, more than twenty films and countless exhibitions, Su has enriched the culture of experimental film and influenced generations of filmmakers. In 2011 she had the opportunity to present, for the first time, an exhibition of work which was not film-centric. The Microscope Gallery in Bushwick hosted her show, re:working, in which Su revisits early portrait photography work about women in the workplace, the inherited crafts of quilting and embroidery, and her experience traveling and studying art history throughout Africa. Sand, wind, and light intermingle with the emulsions. The viewer is the star.